Update: Roscosmos confirmed the success of Friday’s Zenit 3SLBF launch with the Elektro-L No. 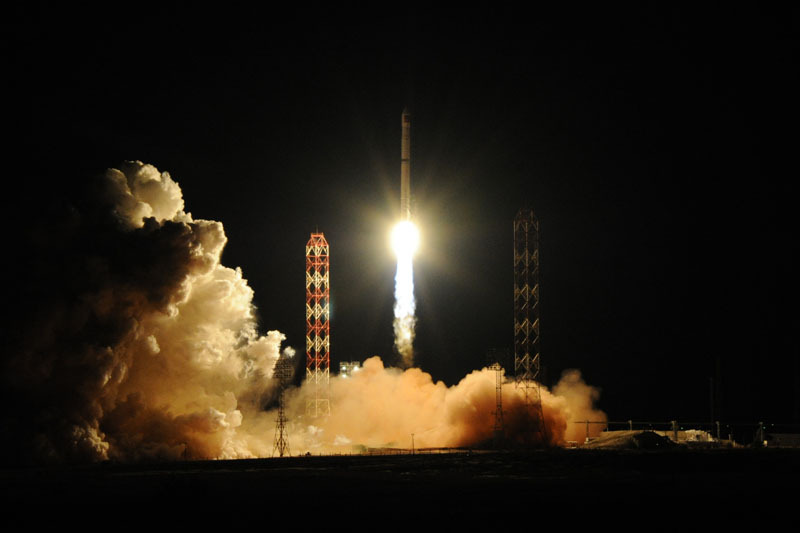 2 satellite, reporting that the spacecraft was released into the intended orbit after a nominal nine-hour ascent mission. Liftoff occurred at 13:45 UTC under the loud rumble of the world’s most powerful rocket engine, pushing the 54-meter tall rocket off its pad for a flight to the north east. The four-chamber RD-171M engine fired for two and a half minutes followed by a five-minute burn of the rocket’s second stage to deliver the Fregat SB Upper Stage and Elektro-L satellite to a Parking Orbit from where Fregat SB assumes control of the flight. Fregat SB, the largest member in the Fregat upper stage family, will be tasked with three burns over the course of a mission close to nine hours. The first two burns will be dedicated to raising the orbit’s apogee ahead of a long coast phase to allow the stage to climb to the high point of the orbit located over the equator. Firing its engine for a third time, Fregat will circularize the orbit and reduce its inclination to reach a Geostationary Drift Orbit, a little below the Geostationary Belt of satellites. Spacecraft separation is expected eight hours and 57 minutes after liftoff, at 22:42 UTC. Friday’s mission in all likelihood is Zenit’s swan song after a three-decade career and 83 missions. The pace of Zenit flights ebbed down in recent years due to Sea Launch’s struggles on the Commercial Launch Market and the growing tensions between Russia and the Ukraine where Zenit’s designer and manufacturer are located. 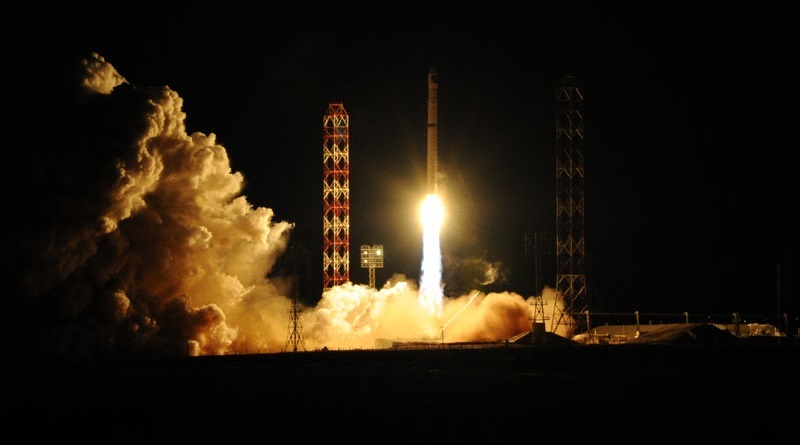 Even this mission of Zenit had been in doubt as government negotiations centered around the Ukrainian processing team traveling to Baikonur for the launch campaign. An agreement was ultimately reached for this flight of the Zenit, but the future of the launcher looks rather bleak. 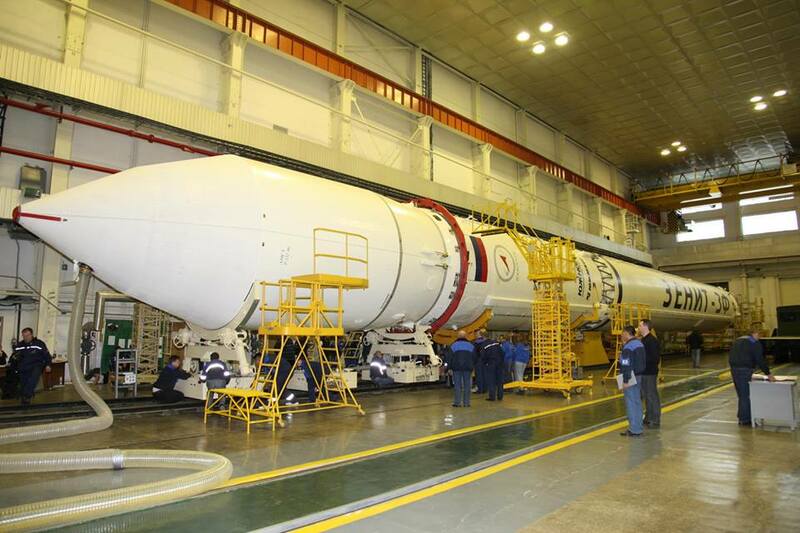 One flight-ready Zenit remains in storage at the Baikonur Cosmodrome and one more launcher was under construction. The list of payloads for any future Zenit flight is equally short as the availability of launchers. 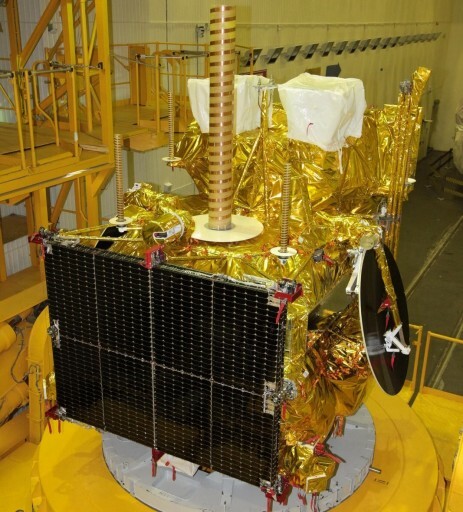 Spektr-RG, a Russian radio telescope mission, was aiming for a Zenit launch in 2017 and its Zenit is reportedly certified to fly until 2019, however, previous unconfirmed reports indicated that the mission was moving to the Proton rocket. The Lybid communications satellite, to be built by Russia for the Ukraine, also seems farther from the launch pad than before given the strained relations between the two countries. It remains to be seen whether Zenit will be resurrected in the future, but it would seem that Friday was the last time RD-171M rumbled to life, at least for the time being. 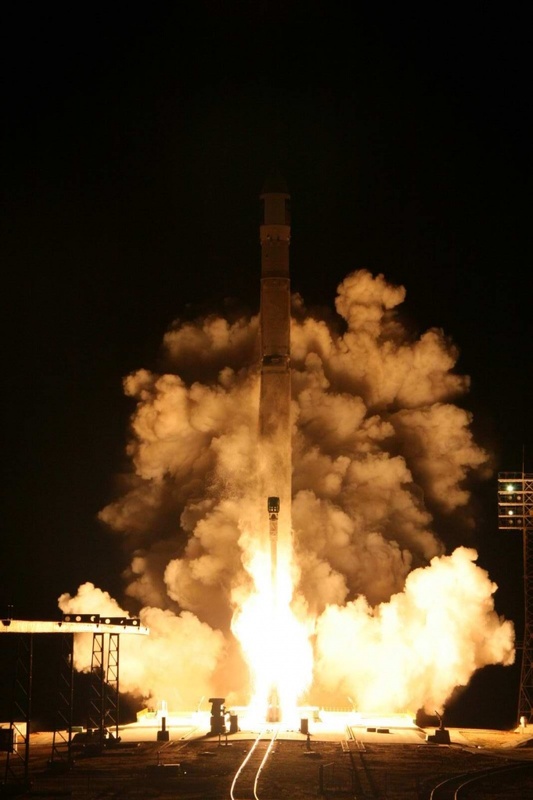 Flying in its 3SLBF configuration, the rocket made use of the conventional 43-meter tall Zenit 2SB stack with a Fregat SB stage sitting atop, capable of lofting payloads of up nearly two metric tons into a Geostationary Orbit. Zenit’s first stage stands 32.9 meters tall and 3.9 meters in diameter hosting a single RD-171M engine with four combustion chambers – the most powerful rocket engine in the world, generating 770 metric ton-force of thrust. The second stage of the rocket measures 10.4 meters in length, powered by an RD-120 main engine and four-chamber RD-8 steering engine. Countdown operations started on Friday, several hours prior to liftoff when teams at the launch pad made the final preparations for propellant loading, closing out the rocket and departing the pad at Site 45/1. 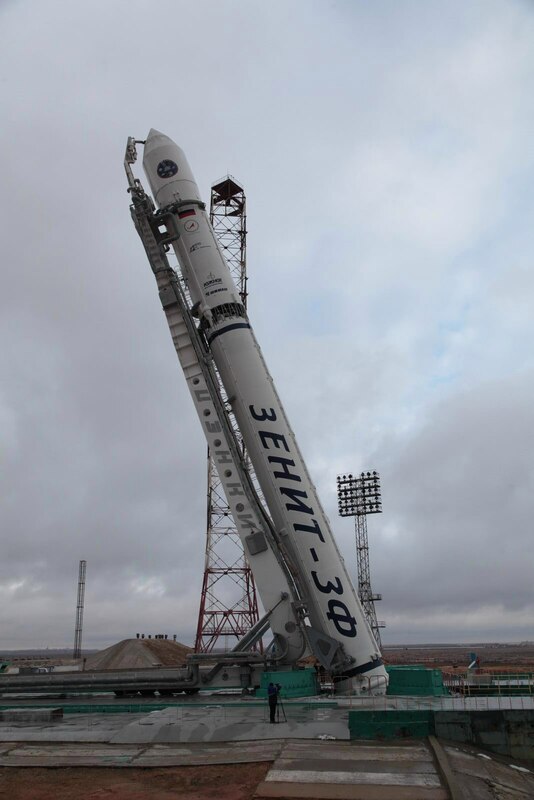 As clocks started ticking, the Zenit rocket was powered up and the launch team started final testing of the launcher’s electrical and communication systems as well as checks of the propulsion systems and the Fregat upper stage. After Flight Control verifications, the rocket received its software for flight. Propellant loading was to start at T-2 hours and 30 minutes with the chilldown of Liquid Oxygen Ground Support Equipment and Transfer Lines. In total, the first stage of the rocket was loaded with 236,537 Kilograms of -183°C Liquid Oxygen while the second stage received 59,431kg of LOX. Kerosene loading began 90 minutes prior to liftoff as the first stage was filled with 90,220kg and the second with 23,056kg of fuel. As part of a relatively tight countdown timeline, Zenit finished propellant loading inside T-30 minutes followed by the final preparatory steps for the automatic countdown sequence. The payload made its transition to internal power around 15 minutes ahead of T-0, getting ready for its long ride into orbit. At T-15 minutes, the transporter-erector was disconnected from the rocket and rolled back to a safe distance to the rocket for liftoff. The Automated Countdown Sequence picked up at T-5 minutes with the transfer of the Fregat SB upper stage to internal power, running its autonomous flight sequence based on commands uploaded several hours prior to launch. Over the final two minutes of the countdown, the Zenit switched to battery power and pressurized its propellant tanks for liftoff before assuming control of the final countdown events. 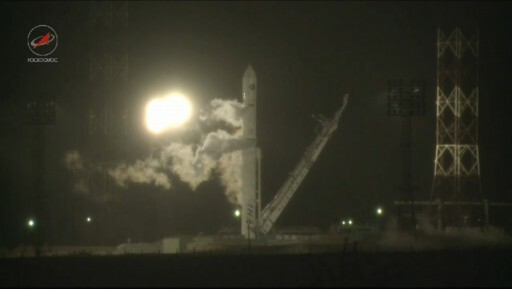 The rocket climbed vertically for a few seconds before pitching and rolling onto its pre-planned trajectory, departing the Baikonur Cosmodrome to the north east, aiming for an initial orbital inclination of 51.4 degrees. Just after passing one minute into the mission, the rocket passed through the area of Maximum Dynamic Pressure before pushing through the sound barrier. As it approached the two-minute mark of the flight, the RD-171 engine started a gradual throttle-down from its maximum vacuum thrust of 804,300 Kilograms to about 74% of that in order to limit acceleration on the vehicle to a maximum of four Gs. The mighty RD-171M engine weighs 9,500 Kilograms and can lift 82 times its own weight, operating at a high chamber pressure of 245bar using oxygen-rich technology. Its four combustion chambers share common turbopump equipment but its nozzles can be gimbaled individually by up to 6.3 degrees to control the vehicle in flight. 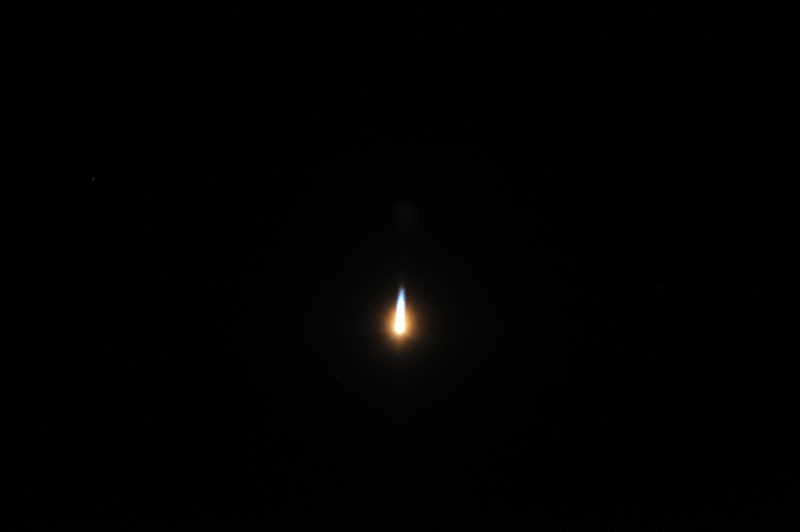 Two minutes and 20 seconds into the flight, Zenit started its hot-staging sequence with the ignition of the RD-8 vernier engine on the second stage. Shutdown on the first stage occurred three seconds later followed another two seconds later by the pyrotechnic separation of the first stage. Under the power of the four-chamber vernier, the second stage pulled away from the spent first stage booster for five seconds before commanding its RD-120 main engine to ignite, soaring up to a vacuum thrust of 84,950 Kilogram-force. Five minutes and 17 seconds into the mission, the protective payload fairing was jettisoned – exposing the Elektro-L No. 2 spacecraft and Fregat upper stage. When flying from Baikonur, Zenit features a fairing built by NPO Lavochkin, measuring 4.1 meters in diameter and 10.4 meters in length – housing both, Fregat and the satellite. The second stage main engine shut down 7 minutes and 15 seconds into the flight while the RD-8 kept firing for another minute and 19 seconds to finish pushing the stack into orbit. Separation of the Fregat SB upper stage took place eight minutes and 35 seconds into the flight in what was targeted to be a 167 by 554-Kilometer orbit at an inclination of 51.35 degrees. The Fregat SB upper stage is based on the conventional Fregat stage used on the Soyuz with the addition of a torus-shaped Auxiliary Propellant Tank to increase the stage’s propellant mass to be able to deliver heavier payloads into orbit. Fregat SB is 3.9 meters tall and 2.4 meters in diameter with a launch mass of 11,780 Kilograms. It hosts an S5.92 main engine that can operate at two thrust settings of 14.0 and 19.85 Kilonewtons. The first burn of the Fregat Upper Stage will take place at T+1 hours and 14 minutes, centering the equator passage of the orbit so that the apogee of the orbit will also be placed above the equator. The burn will last for 8 minutes and 25 seconds aiming for an orbit of 280 by 4,306 Kilometers. Half a minute after the end of the burn, Fregat will jettison its JTB Auxiliary Propellant Tank before entering a two-hour coast to set up for the second burn that will take place on the perigee passage of the orbit to continue raising the apogee. The second burn is set to start three hours and 26 minutes into the flight and has a planned duration of 11 minutes and 8 seconds, boosting the stack into a Geostationary Transfer Orbit of 338 by 35,911 Kilometers. Next is a long coast phase to the apogee of the orbit so that the third and last burn can inject the stack into a Geostationary Drift Orbit, raising the perigee and reducing the orbital inclination. The burn is planned to start at T+8:46:35 and will last for 8 minutes and 48 seconds, targeting an insertion orbit of 35,425 by 35,793 Kilometers at an inclination of 0.5°. Separation of the Elektro-L No. 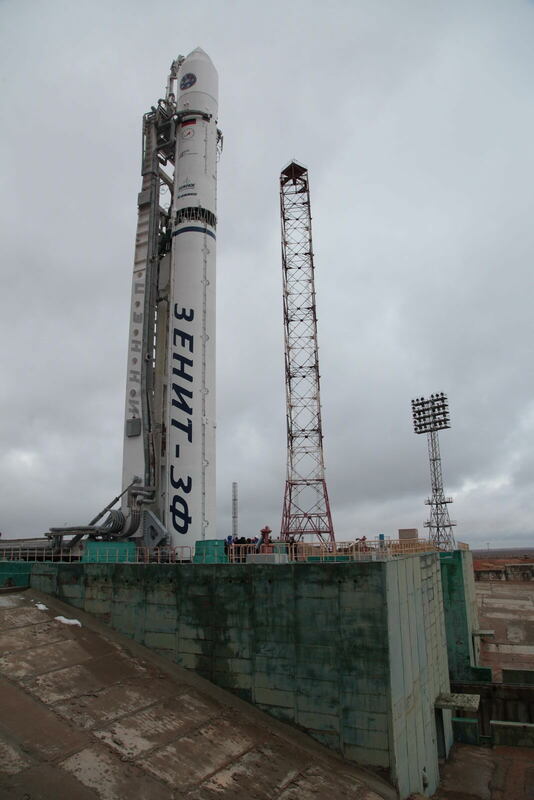 2 satellite is expected eight hours and 57 minutes after launch to mark the successful conclusion of what is likely the final mission of the Zenit rocket. The 1,855-Kilogram Elektro-L No. 2 satellite hosts four instruments to conduct visible, infrared and microwave imaging, ocean monitoring and space weather measurements. The primary instrument of the satellite is a Multispectral Scanner that covers the visible, near infrared, thermal infrared and the microwave band for imaging at a resolution of 1 Kilometer for infrared and 4 Kilometers for microwave and thermal infrared wavelengths. Data from the instrument is used for cloud cover assessments, water vapor measurements, and sea surface temperature measurements. The GGAK-E Heliophysical Instrument complex hosts seven sensors capable of measuring the influx of charged particles and X-rays. Also, Elektro-L is outfitted with a Search and Rescue payload dedicated to relaying distress messages received from ground-based terminals.